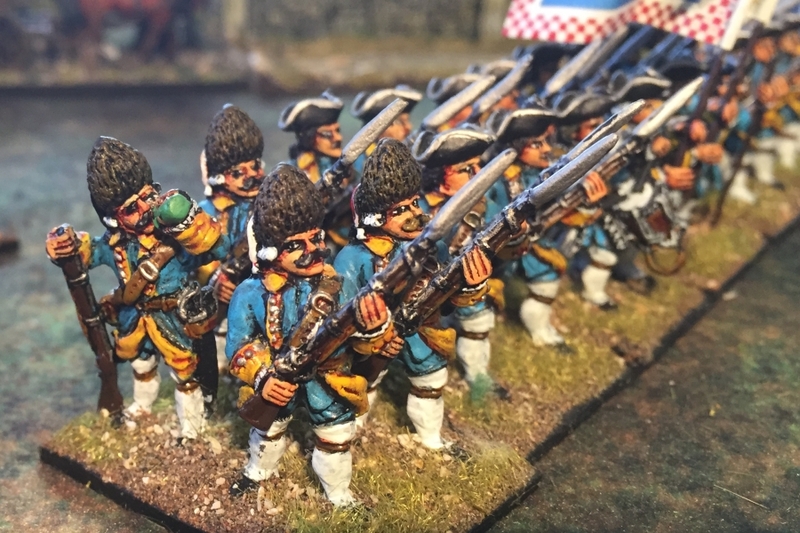 The French army of the mid-eighteenth century was one of the most colourful: white-coated infantry, foreign regiments in blue or red, light infantry in green or beige, cavalry in all sorts of hues! 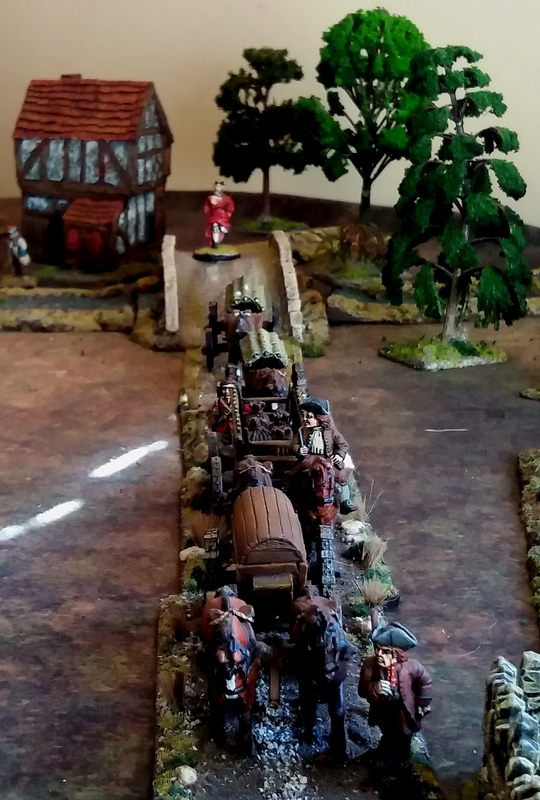 They might not have been the most effective army of the period, but – mon Dieu! – they dressed well. 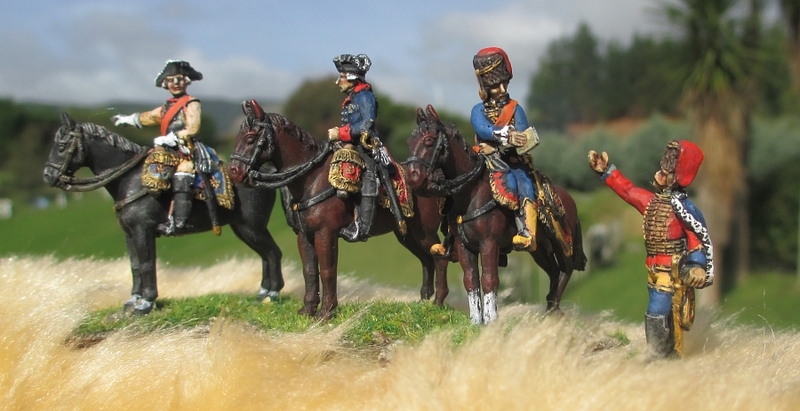 In my previous ‘On Parade’ postings, a series in which I intend to inspect every figure in my collection, I’ve covered my Napoleonic and fantasy armies. 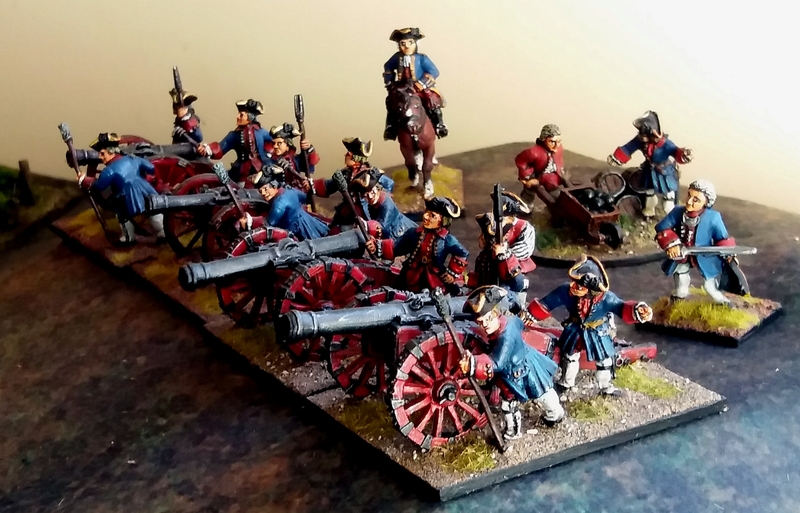 Now it is the turn of the eighteenth century French, the first historical army I painted when in the late 1990s I returned to the hobby of wargaming after a twenty year hiatus. 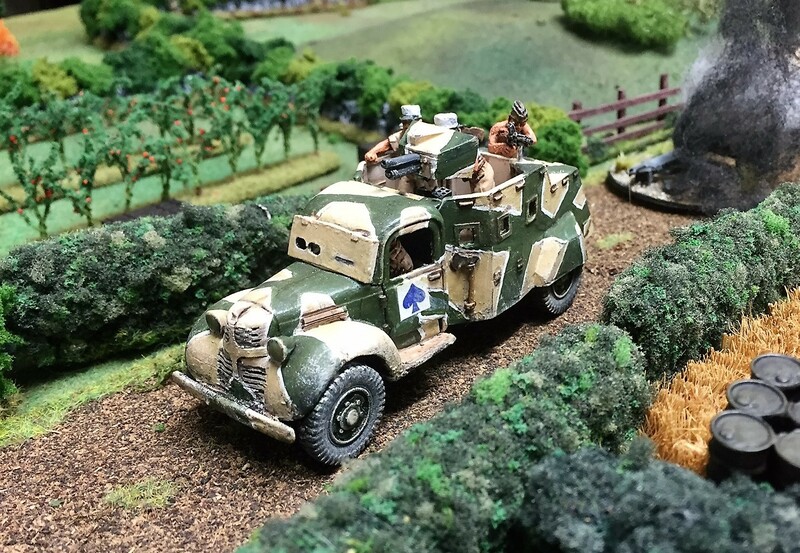 This army is mainly made up of 28mm Front Rank figurines. 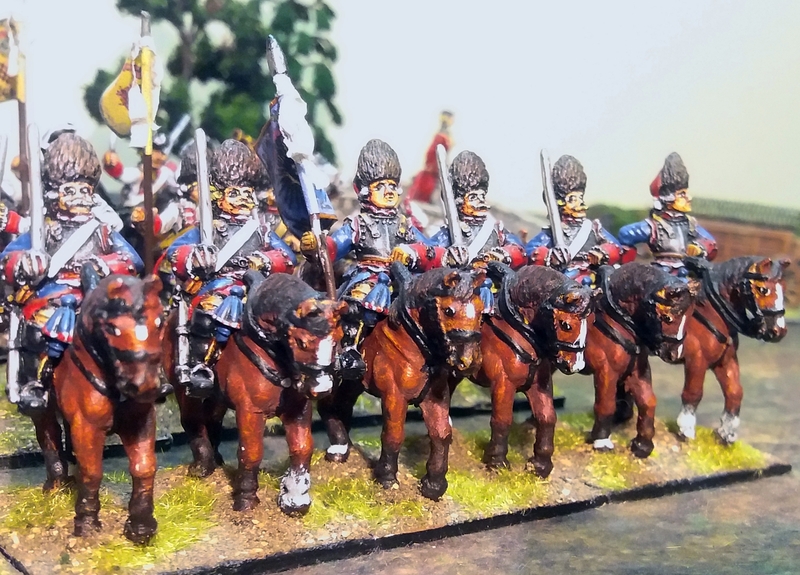 The 24-figure infantry regiments and 8-figure cavalry squadrons are not based for any particular rule-set. 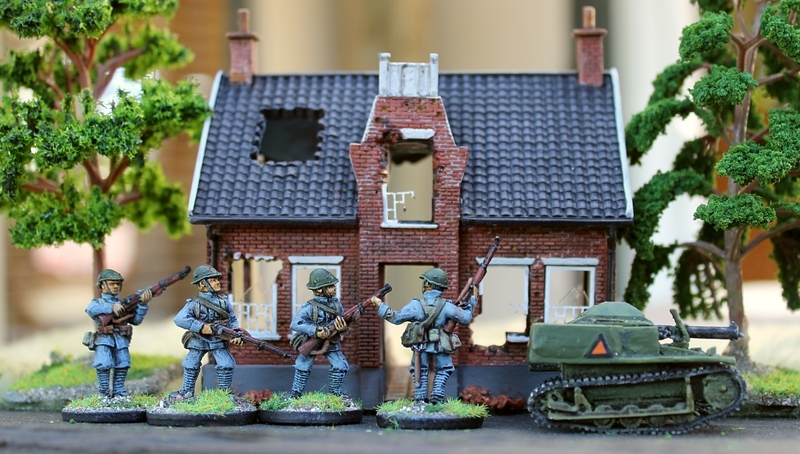 It is many years since I’ve had this army out on the table. 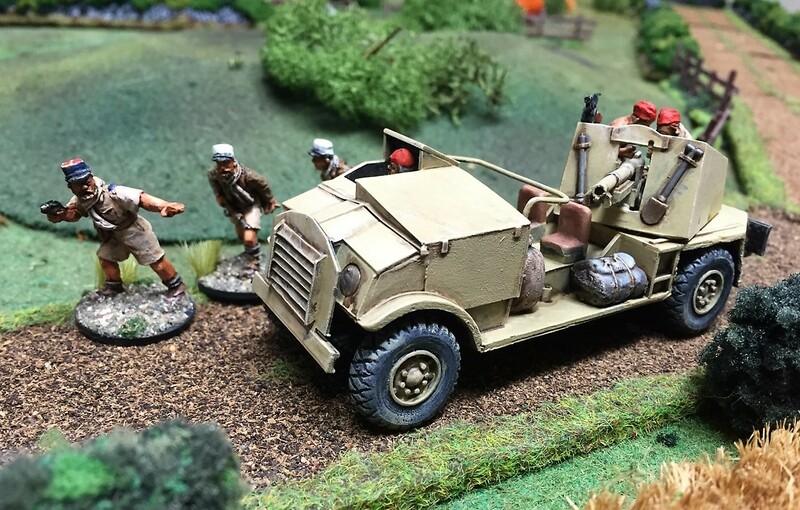 When I began setting them up for my inspection parade today, it immediately came back to me just how charming Front Rank figures are. They might not be the most anatomically correct (the large heads for example), but there is just something about them that captivated me back in the 1990s, and repeated that feeling today in 2019. 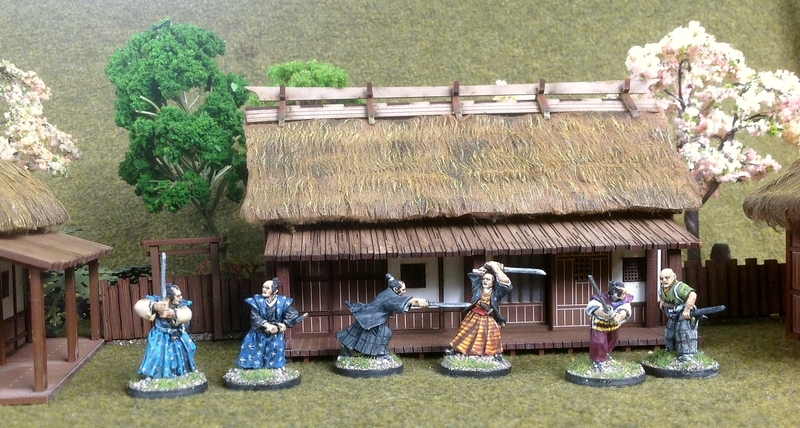 True, I do also like the more correctly proportioned figures from some other manufacturers’ ranges. 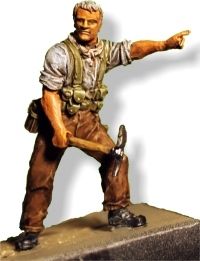 But the ‘chunky’ style of the Front Rank figures in my opinion gives them an appealing toy-soldier look that I just love. So let’s start the inspection parade! 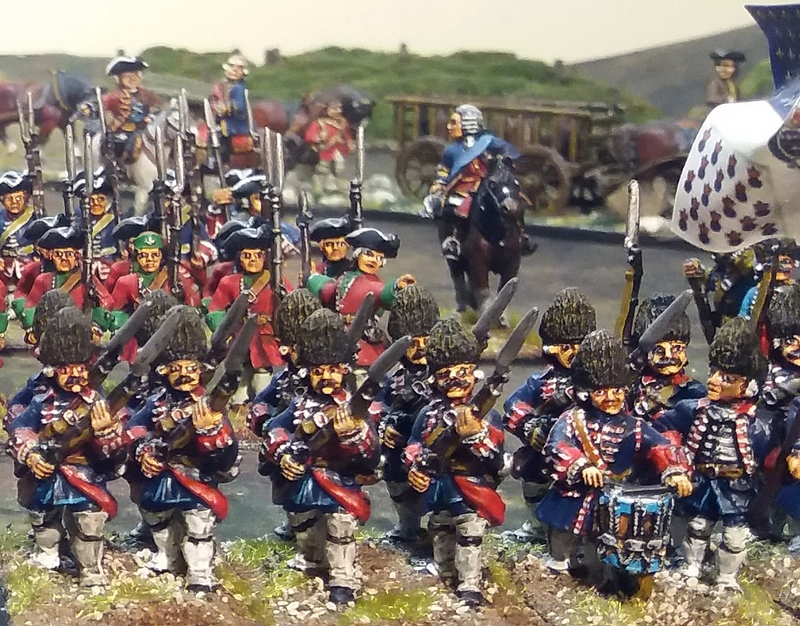 I’m going to break this up into several postings over the next week or so, starting with a march-past of the French infantry in their pearl-grey uniforms. 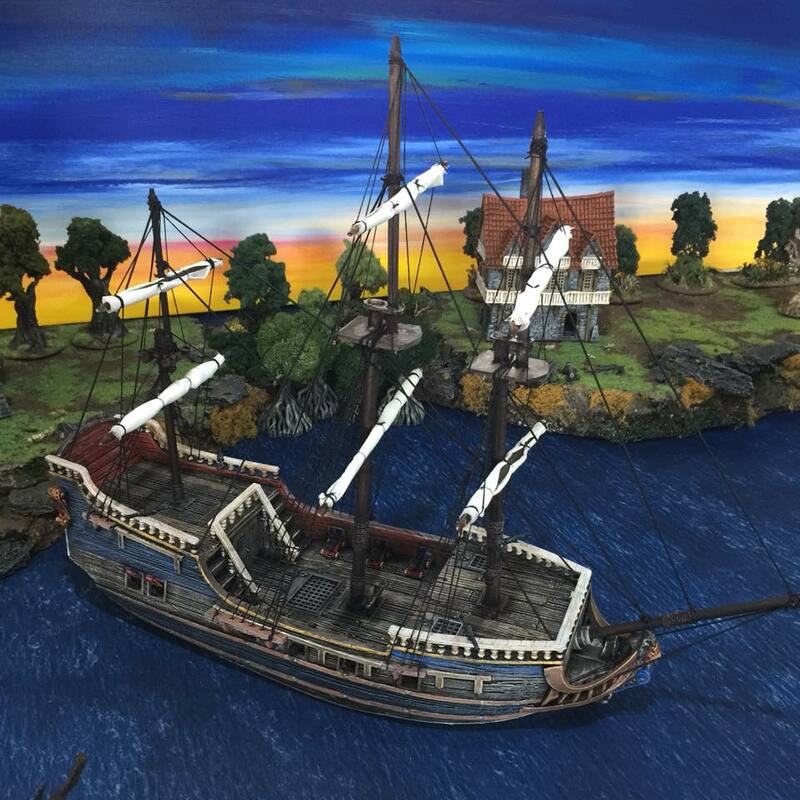 Don’t forget to click on the pictures if you want to enlarge them for a closer look. The uniform of the Regiment Brie is the basic French soldier’s white coat, with red cuffs and a red waistcoat. 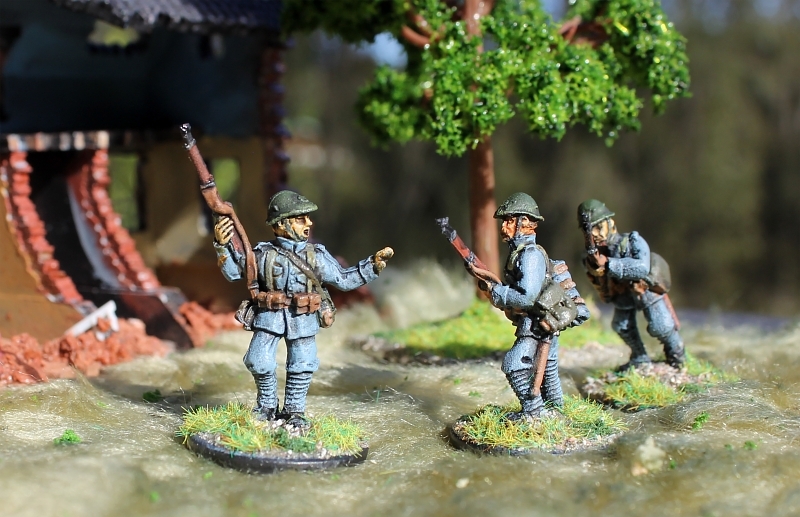 I painted the uniforms white, then covered them with a black ink wash, then dry-brushed with white again to bring up the highlights. 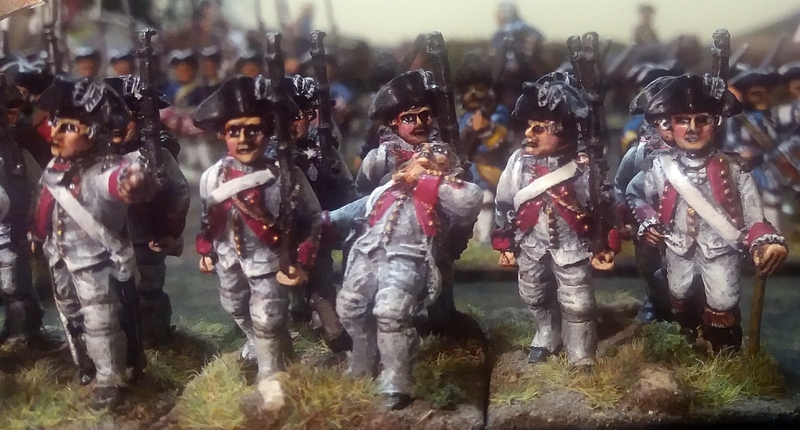 This regiment was made up from some Front Rank models that I bought second-hand, and includes a bigger range of uniform and pose variations than most of my other regiments. You’ll see several soldiers wearing the colourful ‘pokalem’ hats, as well as a few bare-headed. This was one of the regiments sent to America to take part in the French and Indian Wars. 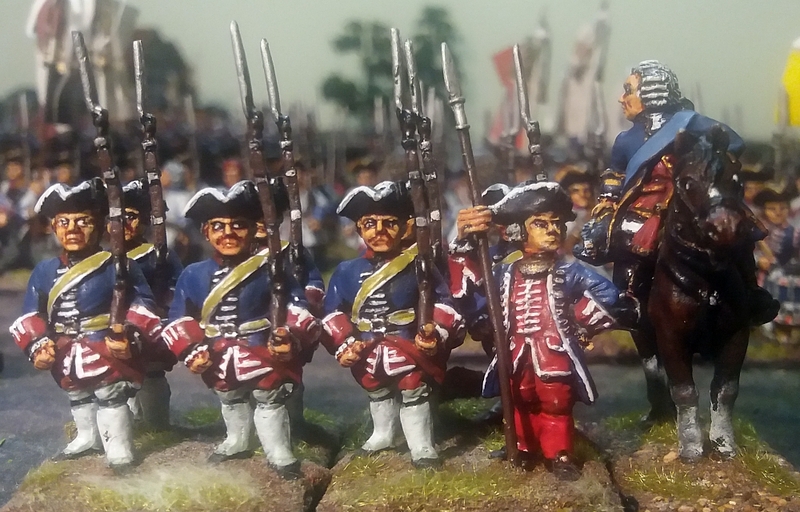 I particularly liked the combination of red and blue in the uniform (waistcoats were red, while cuffs and collars were blue), which was the main reason I chose to model this regiment! 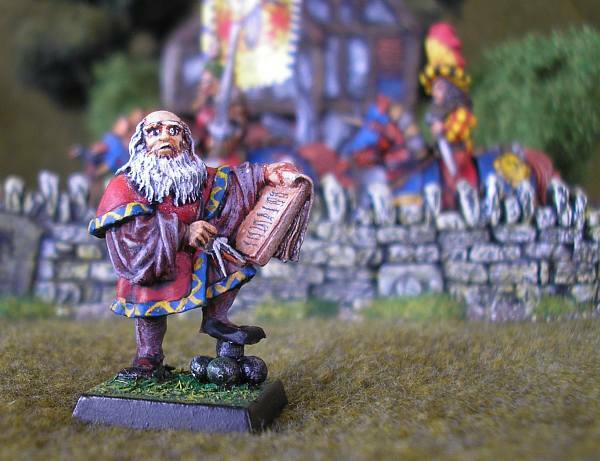 As with many of my other units, the drummer wears the royal livery, consisting of a blue coat with red and white lacing. 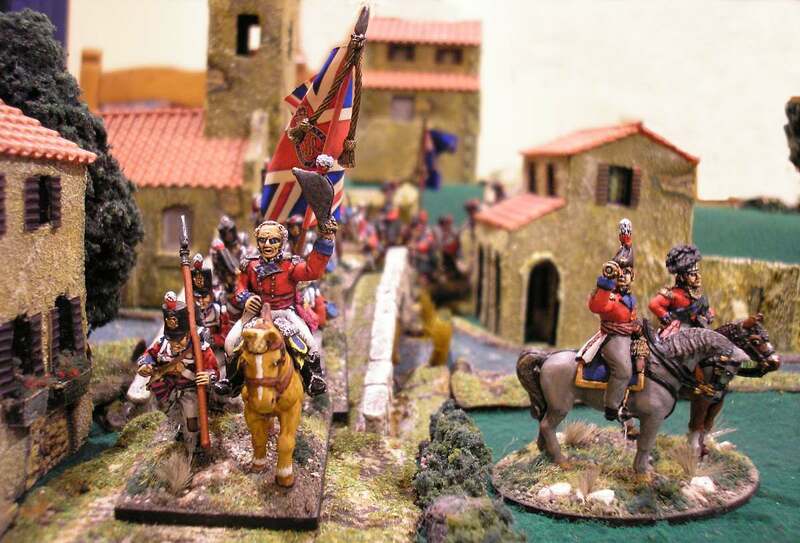 This regiment features one of my favourite figures made by Front Rank, the red waist-coated officer carrying a spontoon (to the left of the drummer in the pic below). 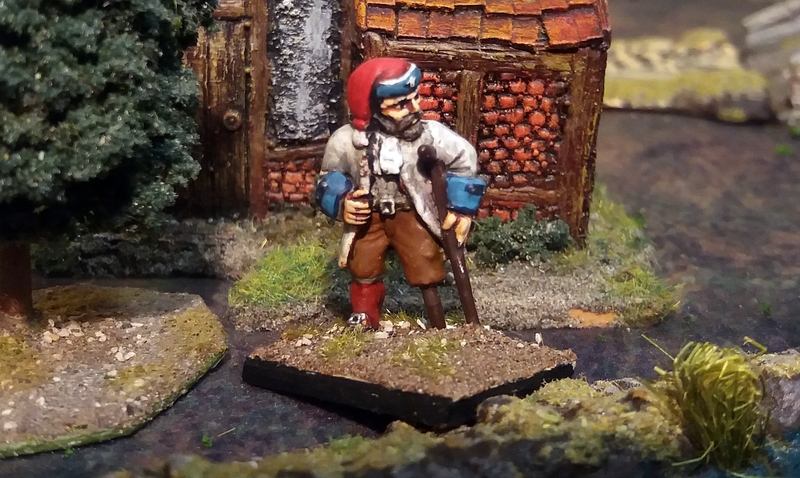 I’ve also included another officer, whom you can see to the right of the flags, hat and sword in hand, exhorting his troops to advance. The flag is a rather sombre brown and black, which is certainly not the brightest flag on the battlefield, but is still very distinctive. 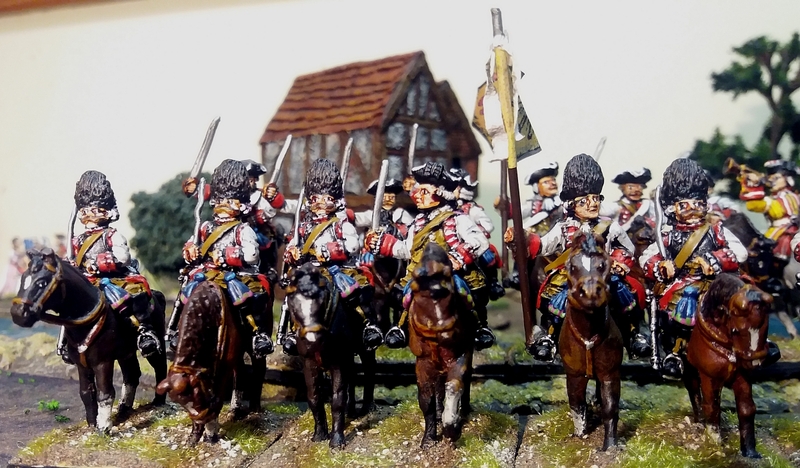 Regular French infantry regiments were mainly dressed in white uniforms, with various combinations of coloured cuffs and collars. 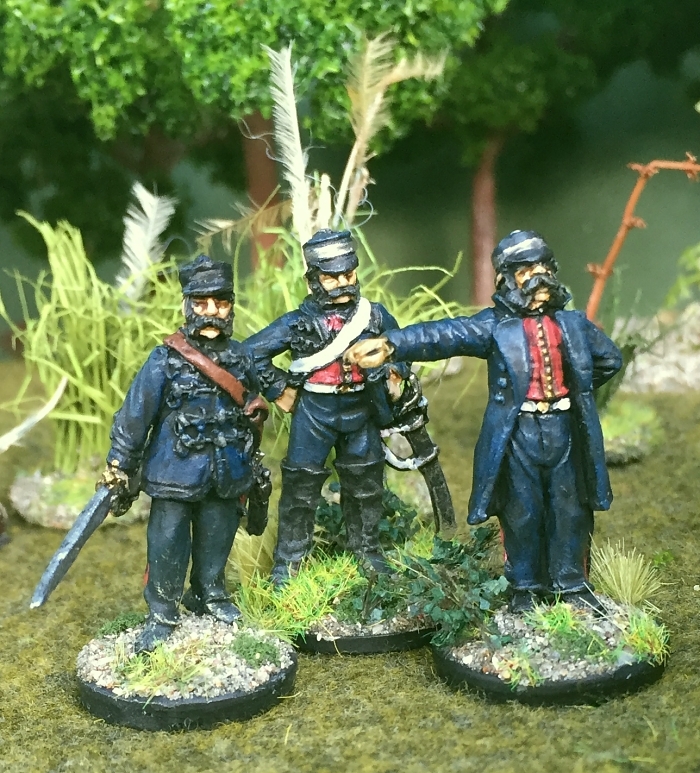 I decided to model the Belsunce Regiment (also known as the Monaco Regiment) for no reason other than the fact that I liked the violet colour of their cuffs! 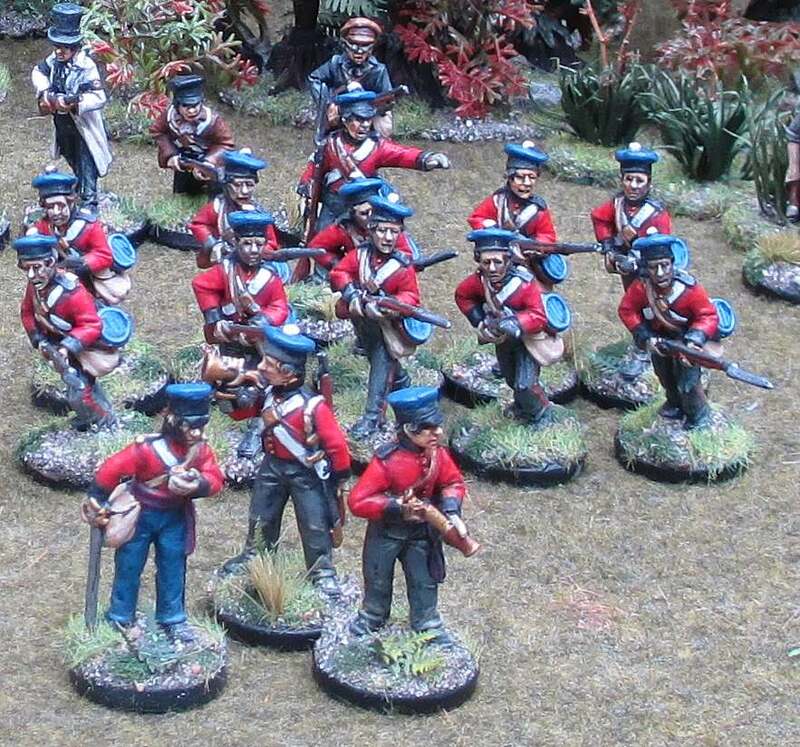 The figures on the left are wearing bearskin caps because they are the grenadier company. 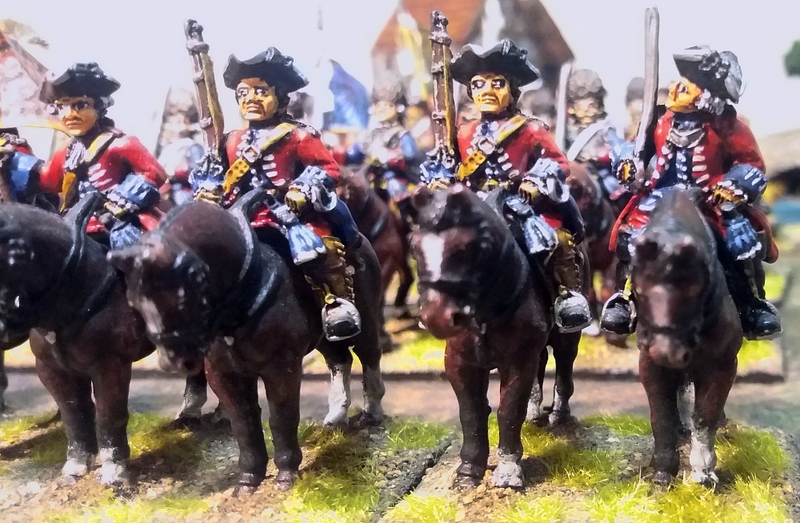 Grenadiers were also permitted to grow moustaches, which are portrayed on the models. 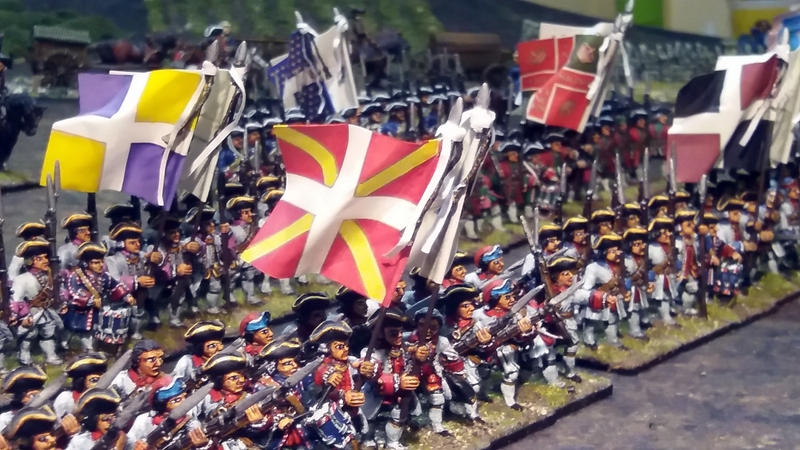 Like the Regiment de la Sarre, to the right of the flags you can once again see my favourite model of the officer with his spontoon – he looks so “eighteenth century” in his clothes and pose! The simple but colourful yellow and violet flag is by GMB Designs. 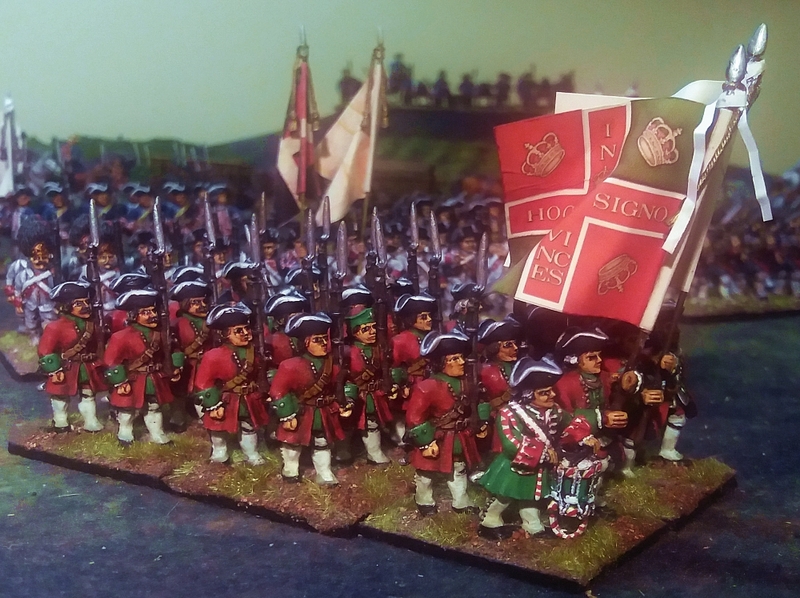 This next regiment hails from a slightly later period of the eighteenth century than the remainder of my French army. 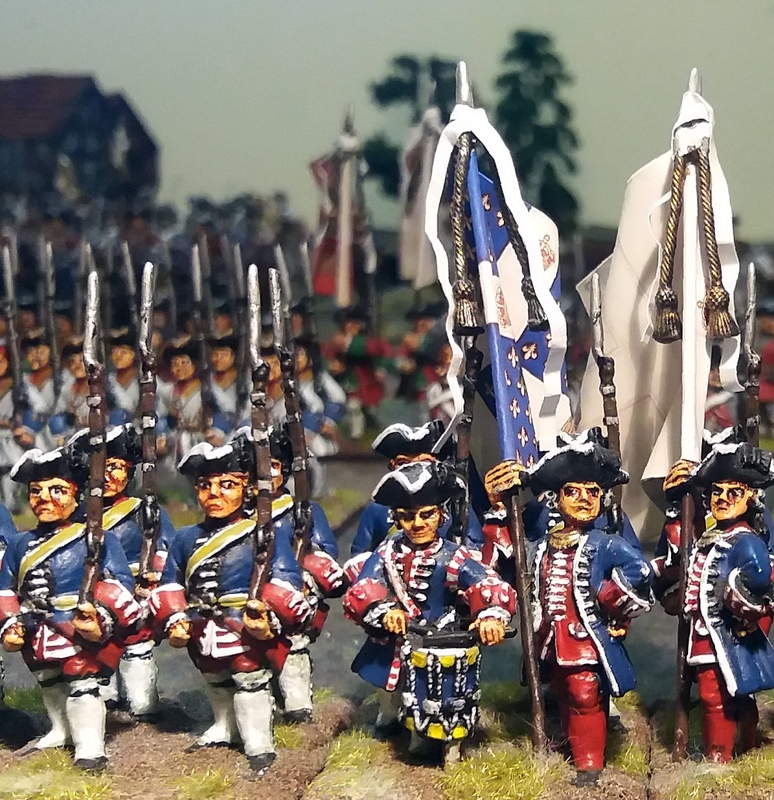 My miniature Regiment Soissonnois is portrayed in the uniforms they would have worn when they were part of the Comte de Rochambeau’s expeditionary force during the American War of Independence. 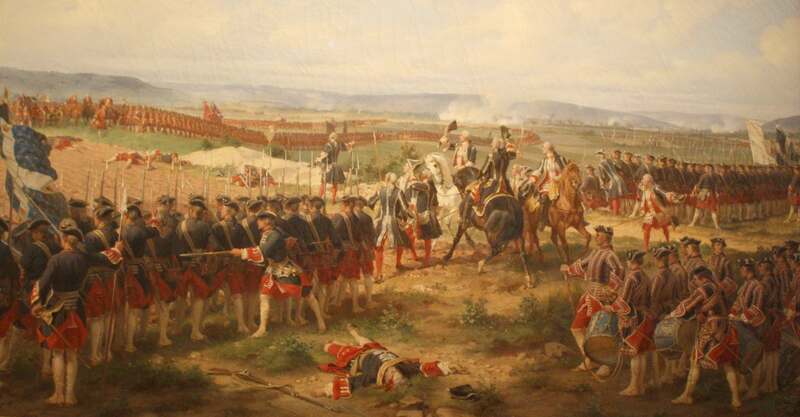 Several French regiments were involved in this war, and played a major role in the victory at Yorktown in 1781. 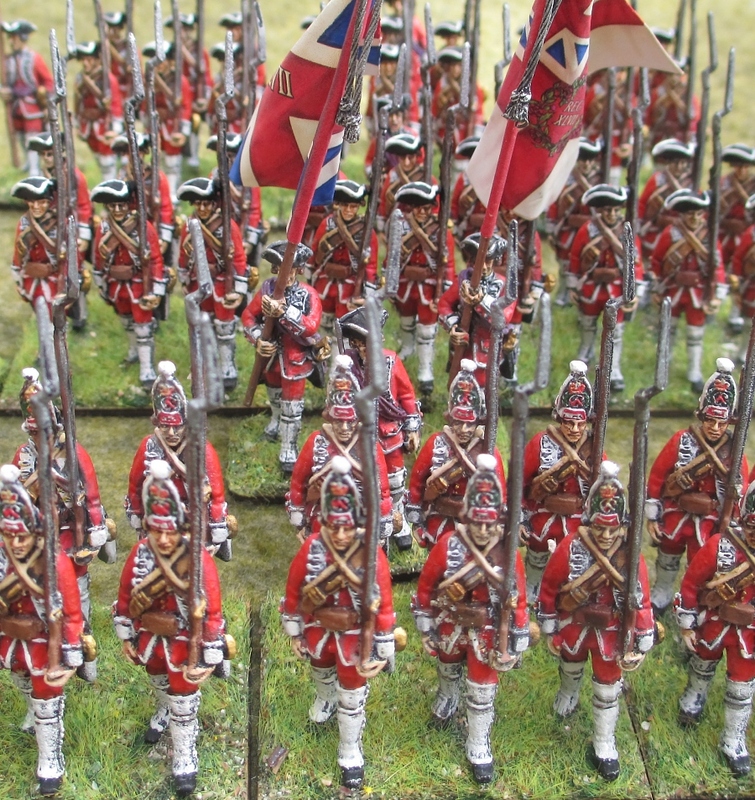 Some of the uniform differences from my earlier Seven Years War French regiments include a more modern cut to the coat, white shoulder straps for carrying the cartridge box, higher tricornes with no coloured edging lace, back-packs with shoulder straps, gourd-shaped water bottles, and different facing colours. 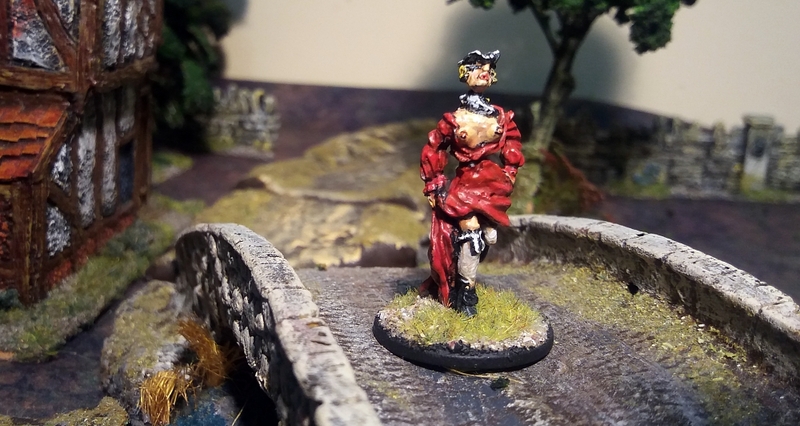 French regiments at this time had done away with the bearskins for their grenadiers, but American eyewitnesses state that the Soissonnois had somehow kept theirs, making an imposing sight. 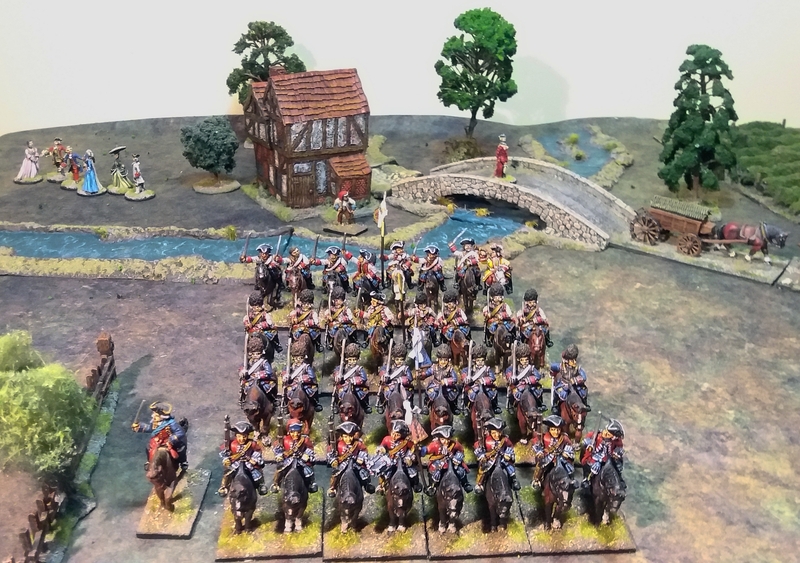 The Regiment de la Reine marked a new direction for my French army. 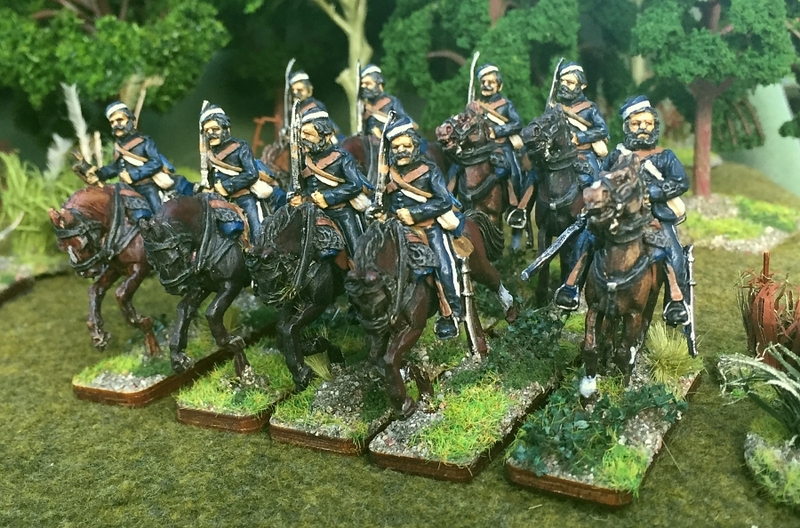 Unlike the remainder of all my units, this regiment is not made up of my beloved Front Rank figurines, but instead were from a range of 30mm figures sculpted in anatomically-correct proportions by a short-lived french manufacturer, Capitulation Figurines, now sadly long gone. 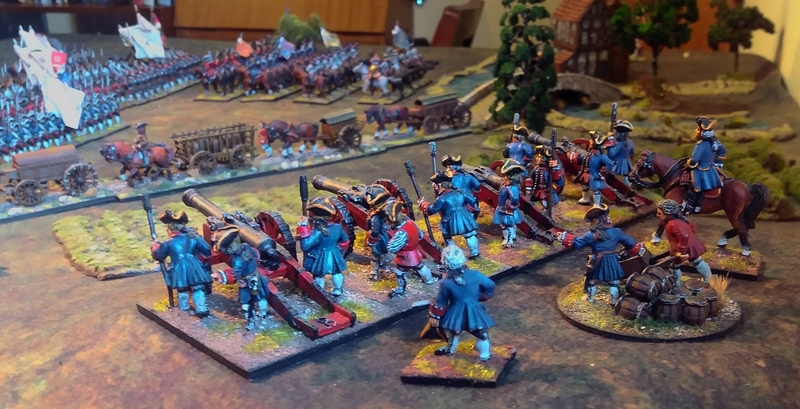 Capitulation set their range during the War of the Austrian Succession, which is a little earlier than the era depicted by the remainder of my army. 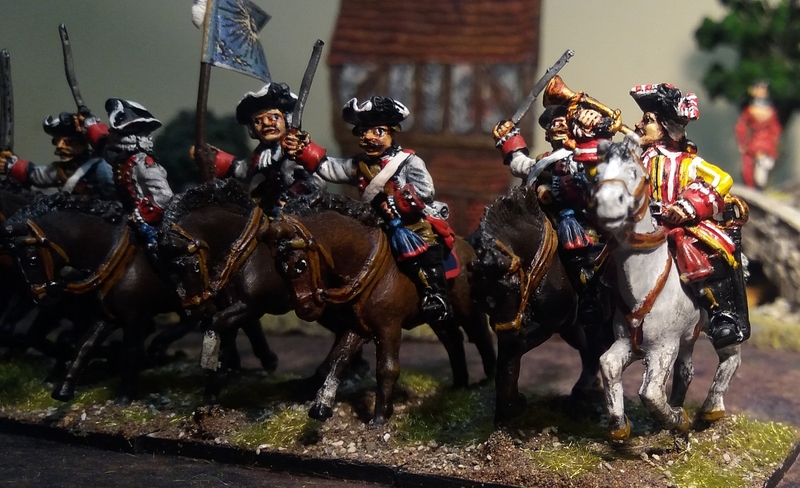 But I chose to paint them in the later uniforms of the Seven Years War. 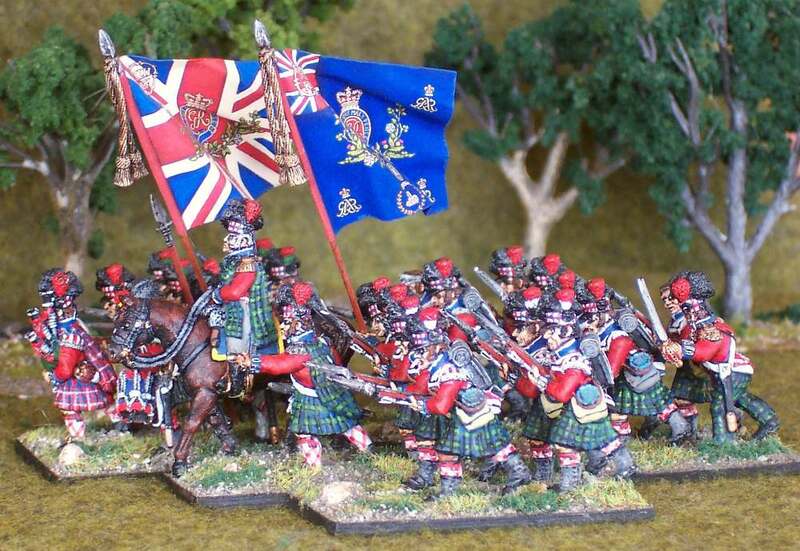 I selected the Regiment de la Reine because of its colourful combination of red cuffs and blue waistcoats, and also the flag with the interesting crowns in the white cross. 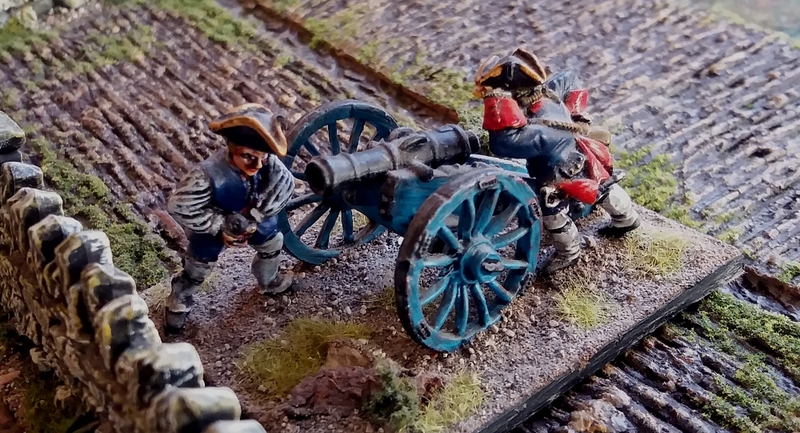 These figures are markedly bigger than those of Front Rank, so there is no way that this regiment could ever fight alongside the rest of my army. 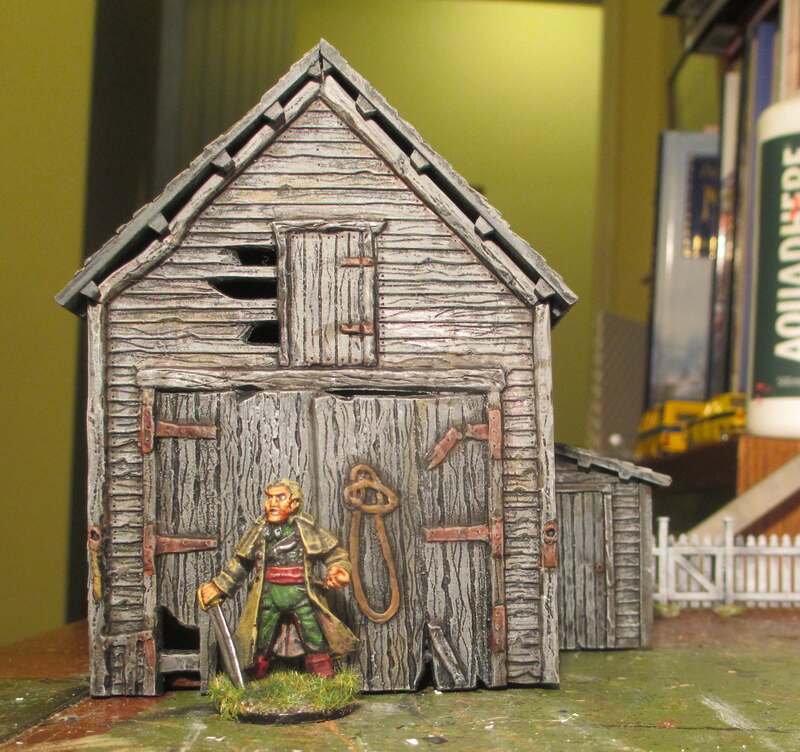 However, at the time a friend was building up a collection of ‘Last of the Mohicans’ figures made by Redoubt, which my Capitulation figures didn’t dwarf quite so much. 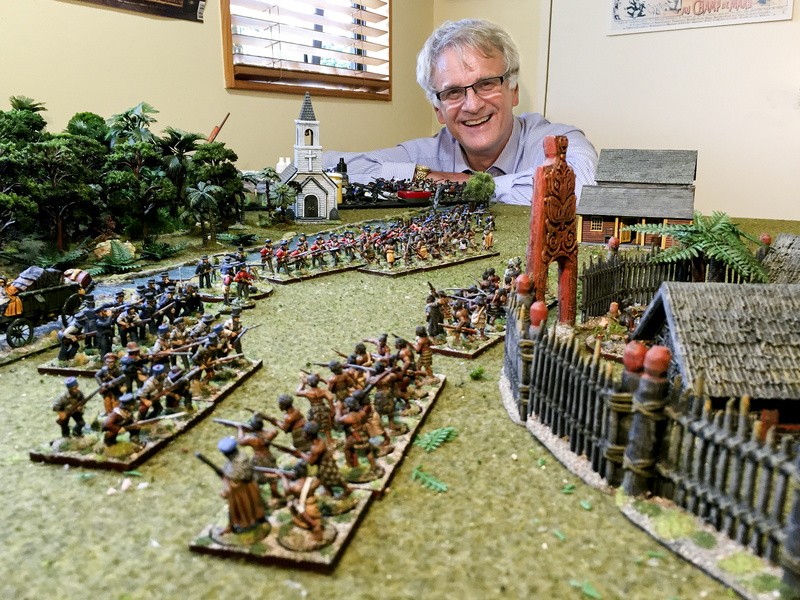 Thus my Regiment de la Reine was intended to fight in skirmish games set in New France (though in the end I don’t recall that we ever had a game with them). 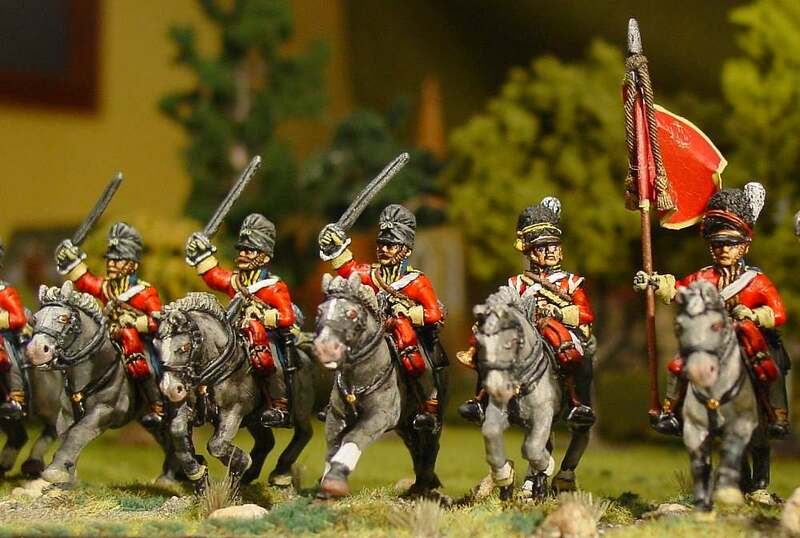 The real regiment was issued with a slightly different uniform when it served in America. 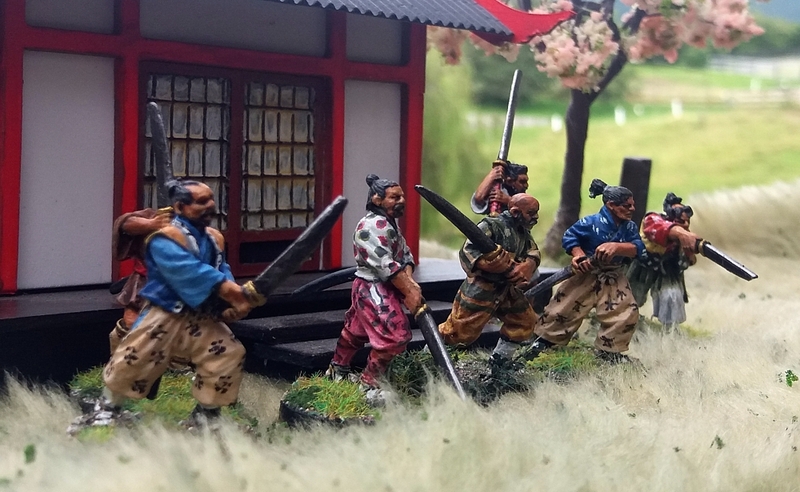 But as these figures are equipped for the European theatre of war, rather than America (swords instead of tomahawks, and the officers with spontoons instead of fusils), I depicted them as perhaps they might have looked just as they first landed from France. 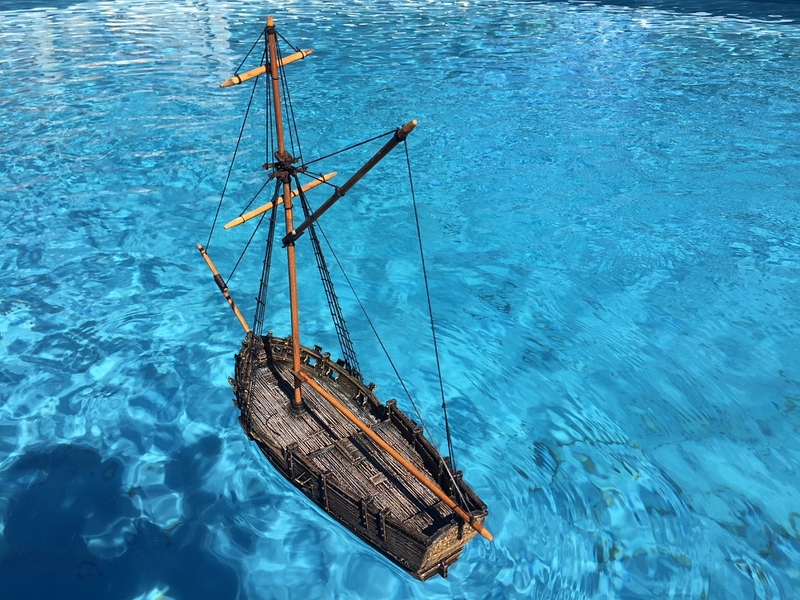 I love the character of the command figures. The officers look like real 18th century dandies. I emphasized this by painting them with lavish white wigs, faces with make-up, and even a beauty spot or two! And if you look closely at the photographs, you’ll see that each fusilier is different. They are in various poses, and have quite individual faces. 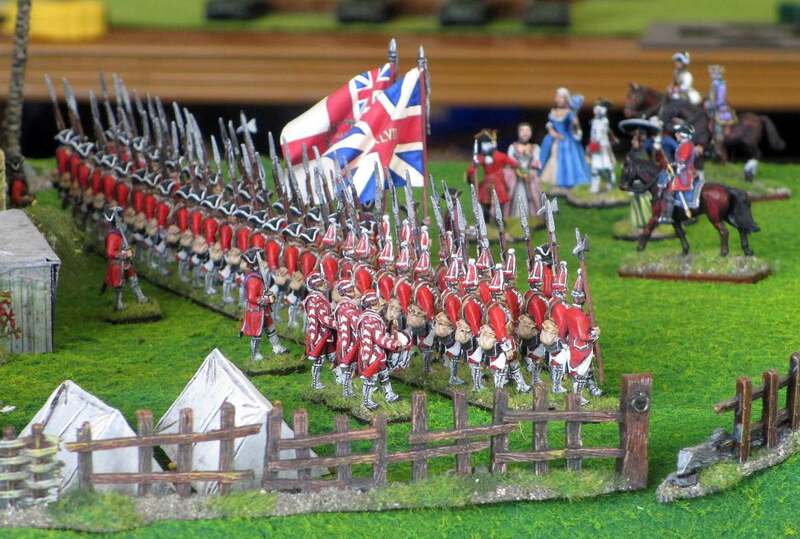 This makes the whole regiment look very lifelike. 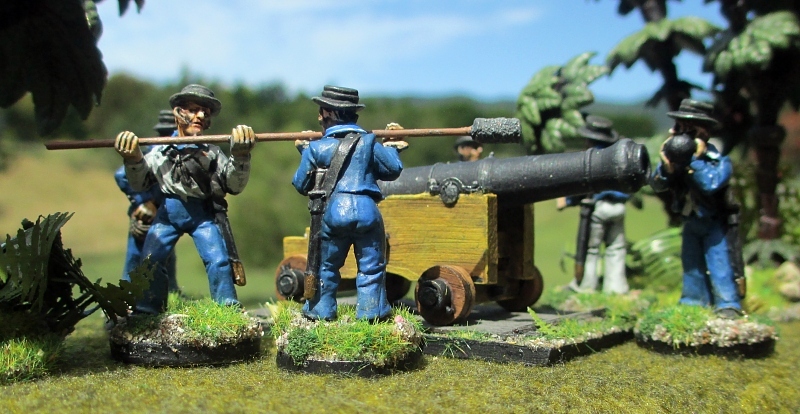 These figures are very authentically equipped, right down to details such as the musket sling on the side rather than beneath. So, that’s the whitecoats. 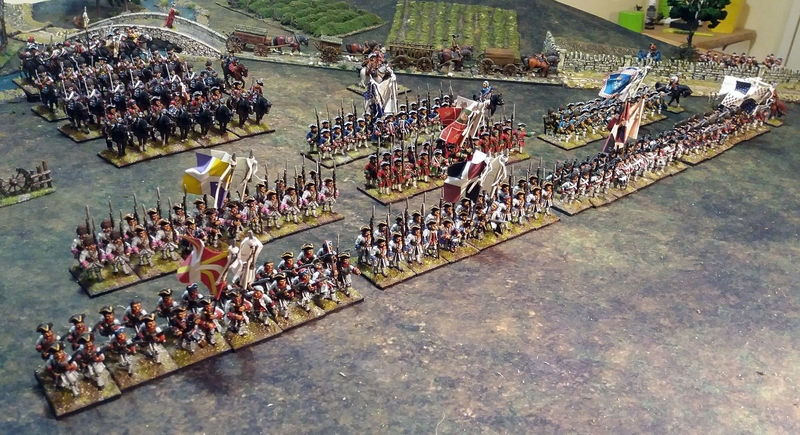 Next time we’ll take a look at the foreign and guard regiments in my French army. See you then!